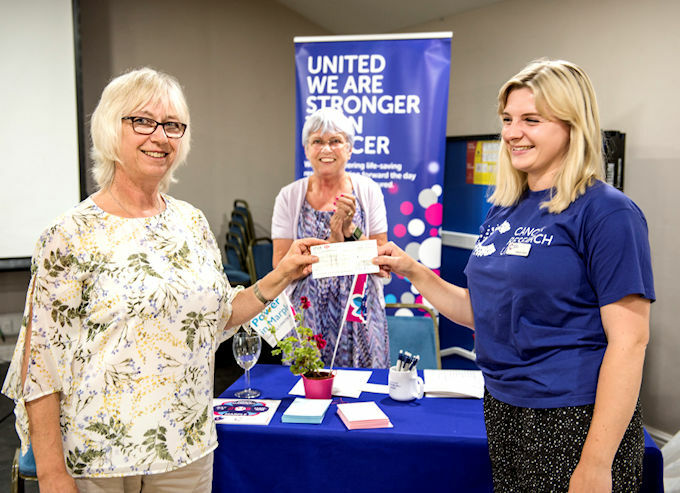 Open Gardens in Marple is delighted to announce that on 1st August 2018 a cheque for £13,000 was presented to Cancer Research UK! What an amazing result, well done and thank you to everyone involved and everyone who has supported the event. Back in 2017 a group of Marple gardening enthusiasts got together to discuss organising an "Open Gardens in Marple" event to raise funds for Cancer Research UK. After many months of preparations, over the weekend of Saturday 7th and Sunday 8th July 2018, twenty-one Marple Gardens opened their gates to the public for the very first time in an event that was offically endorsed by local MP William Wragg. As well as opening their gardens, many owners carried out ancilliary activities to raise extra funds, such as plant sales, selling tea and cakes and running games and competitions. In addition to the gardens, Friends of Marple Memorial Park welcomed visitors to our glorious town centre park and Marple Allotment Association did the same at Seven Stiles Allotments. A photographic record of the event is available on The Marple Website Virtual Tour. Thank you to the wonderful supporters of this event. Read more about them here.